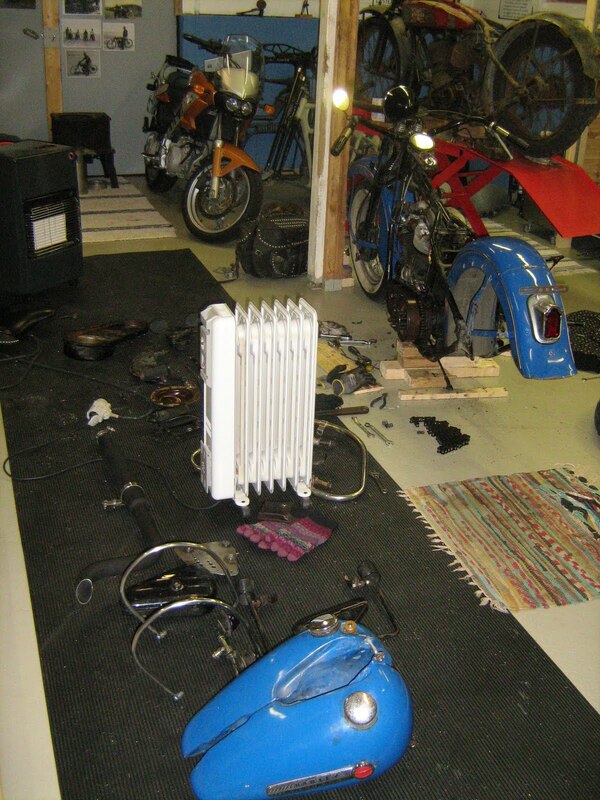 American Motorcycles Norway / Veteran-Mc.com: Wonder why? Why do I do this to myself again and again, buying work. Oh well I recon I will be smiling in the end. Do I get it all done for summer? I find I better not waste time in front of the computer from now. Still not half way apart. 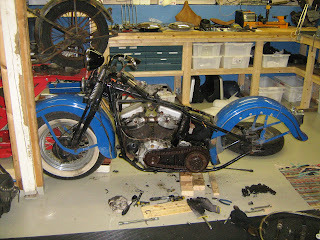 What work are you doing to it, engine and trans or is the whole bike being rebuilt. Nice project. Hi Kawa, sorry for late reply. I`m kind of depressed with this project at the moment as it is far more easy to count what is not to be overhauled than the opposite, you see? Sorry Vincent to dissapoint you. 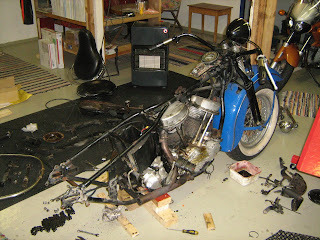 This ol gal is getting what she deserves, a total make over!